Puerto Rico's power company said Thursday that it has restored electricity to all customers affected by an island-wide blackout that was caused by an excavator hitting a transmission line, but tens of thousands of families still remain without normal service seven months after hurricanes Maria and Irma. Gaby Acevedo reports. Puerto Rico's power company said Thursday that it has restored electricity to all customers affected by an island-wide blackout that was caused by an excavator hitting a transmission line, but tens of thousands of families still remain without normal service seven months after hurricanes Maria and Irma. Officials said that power had been restored to more than 1.4 million of its clients following Wednesday's blackout. The outage marked the first time Puerto Rico was hit by an island-wide blackout since Hurricane Maria struck on Sept. 20 and wiped out as much as 75 percent of the power distribution lines. The blackout snarled traffic, forced businesses and schools to close and sparked long lines at gas stations. Prior to the blackout on the U.S. territory of 3.3 million people, more than 44,000 customers were still without normal electric service lost with Hurricane Maria. Some have been without power even longer, hit when Hurricane Irma brushed past Puerto Rico's northeast coast as a Category 5 storm on Sept. 7, leaving 1 million customers without power, including university student Jonathan Rodriguez and his family. "I knew we'd be without power for some time, but not this long," the 22-year-old told The Associated Press by phone. Rodriguez lives in the central mountain town of Corozal with two relatives, both of whom need electricity to survive. His grandmother depends on insulin and his aunt on equipment to prevent sleep apnea. Nearly every day after work, Rodriguez drives 20 minutes to the nearest gas station to buy fuel that keeps a donated generator running all day and night. The main road near their house is already lit up, as are homes surrounding theirs, but they still don't have power. "They haven't given us any information," he said of power restoration crews. "All we're missing is one post and a transformer." The U.S. Army Corps of Engineers, which is overseeing federal power restoration efforts, said it expects the entire island to be energized by late May, just weeks before the Atlantic hurricane season starts on June 1. But many believe it will take longer, and a group of federal legislators has asked the U.S. Federal Emergency Management Agency to extend the Corps' assignment past May 18 to ensure all Puerto Ricans are once again connected to the island's fragile power grid. 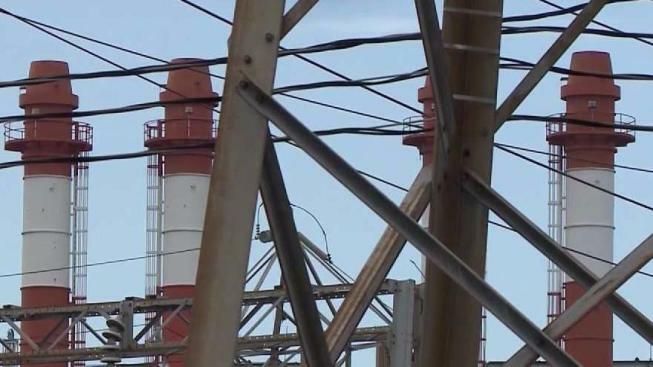 Meanwhile, some legislators also have called on the U.S. Senate's Energy and Natural Resources Committee to hold an oversight hearing on federal efforts to restore power on the island. "Puerto Ricans are still dealing with constant setbacks and unreliable power," said Sen. Bill Nelson, a Democrat from Florida. "This is just simply unacceptable." The blackout comes as Puerto Rico legislators debate whether to private the island's Electric Power Authority, which is $14 billion in debt and relies on infrastructure nearly three times older than the industry average.